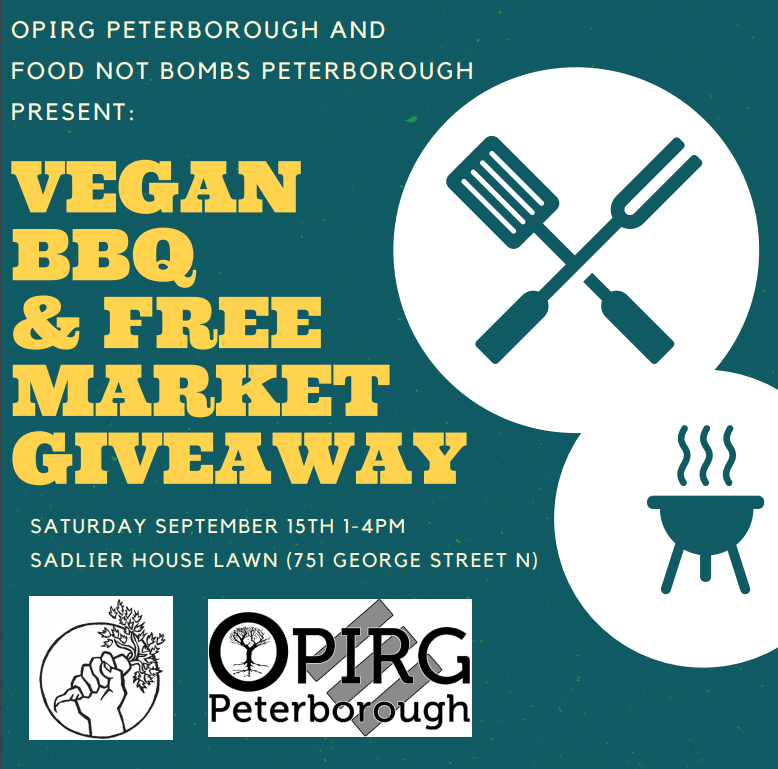 Food Not Bombs and OPIRG Peterborough present the annual Vegan BBQ on the Sadleir House lawn September 15th from 1-4pm. Come for #free food, music and a free market giveaway! For groups who would like to be a vendor at the event to share info about your organization/club please email Samantha at opirglistings@gmail.com.